All accountants are alcoholics. 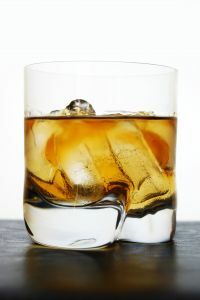 An alcoholic is a person who by definition cannot get enough alcohol and constantly seeks more. Not surprisingly, this fits all accountants, from those who drink by themselves to those who are always dressed for the club while at work. Throughout college, accountants grew up on beer. A few of them even took classes on viticulture, which qualifies them as wine experts after two quarters worth of courses. When they have graduated to the workforce, accountants drink beer at company socials, partake of wine at dinners, and down shots at recruiting events. Note that when a company limits drinks at these events, accountants wind up that much more wasted. From the days of the classroom to the conference room, accountants can drink. Not only can they drink, but accountants are among the most productive professionals after drinking. That is to say, while most people need to recover the next day, you will find accountants at work early the next day. This post-hangover productivity is well practiced by accountants during annual training where they stay out all night and sit in all day. While accountants receive decent salaries, this does not stop accountants from making up their self-perceived undercompensation with liquid paychecks. Accountants are able to receive a constant supply of free booze from company functions and recruiting events. Accountants tend to be risk averse individuals. As such, companies provide accountants with a safe cab policy. This policy is that although accountants should drink in moderation, a cab ride home is covered by the company with no questions asked. If an accountant insists that they don’t drink, you can bet that they are able to drink you under the table. If you want to impress an accountant, simply figure out what kind of alcohol they prefer the most. You can be confident that your gift will be put to good use. With H1N1 in the news, accountants are not taking any chances. 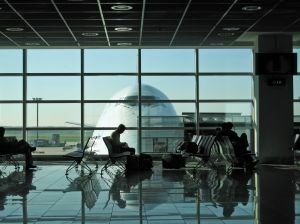 Accountants are buying Airborne under the impression that it confers some sort of benefits. The amazing thing is that it is not even peak flu season, AKA winter, yet. Preventative medication is important as accountants are too busy to ever go to the doctor, let alone ever get sick. Seeing a doctor or having less time for workpapers is not an option. The reality (as harsh as it is) is that sick people get bad performance reviews and don’t stay with the company as long. That is why getting sick carries a “don’t ask, don’t tell” policy. This means, if an accountant gets sick, they need to work through the pain. Yes, this is truly a sign of progressive work-life balance in practice. Instead of following common sense – such as exposure to sunlight daily, exercising regularly, and eating healthy – accountants rely on a concoction of Airborne and mineral water for their health needs. Accountants will buy tubes and tubes of this stuff despite unsubstantiated benefits. Airborne also doesn’t address the actual cause of illness during busy season: a lack of sleep in cubicles (read: close proximity) with other accountants who are also highly susceptible to illness due to bad practices (no exercise, repetitive tasks, etc). 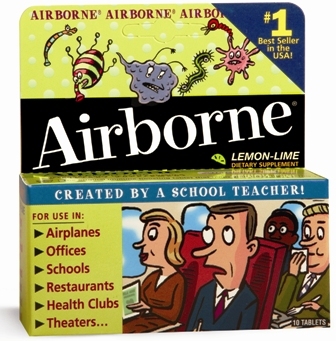 Airborne’s taste is subjective, but that doesn’t mean it tastes great. Have you heard of Redbull? That is another product accountants depend on, and it’s not for the taste. If an accountant is feeling unwell, you should offer them some genuine advice as a friend. Tell them to put down the Airborne and get more than 4 hours of sleep. While accountants have money, they didn’t get this way by paying $10 for Wi-Fi. Accountants are more wired up than a Christmas tree. Fact. As such, an accountant lugs around their smartphone, laptop, and iPod everywhere. Using free Wi-Fi allows them to check Facebook, Perez Hilton, and e-mail (if time allows). Free wi-fi can come from many sources. Reputable sources include coffee shops, sandwich places, and bookstores. Less credible Wi-Fi hotspots include hotel networks, unsecured office Wi-Fi, or an apartment neighbor’s router. As long as accountants are able to get a connection, they are not picky. Typical company guidelines forbid connecting to these unsecure connections. This makes sense as working on and sharing confidential documents over a risky network can ruin everything. The reason accountants ignore company policy is for the same reason that laptop locks are never used. It’s inconvenient and besides nothing bad will ever happen to them. Accountants also tend to have a college student mentality guiding their decisions. If it works and it’s free, so much the better. This also fits in well with company provided alcohol and office perks. Accountants will always appreciate free Wi-Fi. There is no known instance in history (unrecorded or recorded) where an accountant turned down free internet – whether to check Facebook or Outlook. So you can imagine how persistent accountants get locating free Wi-Fi. Even if their battery was dying in an airport terminal, an accountant would try the aptly titled “FRee W1r3less N0w” and all ten other networks within range. If you want to get rid of an accountant, just tell them that they can get a better Wi-Fi signal in the room to the right of the elevator that’s next to the snack room. If the Wi-Fi doesn’t pan out, they’ll be busy working on the pantry. Today is Thursday, or just one day away from Friday. This is a good thing. The Stuff Accountants Like facebook page has been setup. You should follow @accountantslike on twitter to get more frequent updates. We take for granted all the terminology (comments, workpapers, etc.) at SAL. For those who don’t have an accounting background, it can be difficult to follow along, so here’s a mini-glossary. Similar to maintaining the pending list, accountants are endlessly preparing, updating, and reporting their current status. If you thought twitter asking “What are you doing?” gets old, just try and imagine working with accountants who constantly ask what are you doing all day long. It is important for accountants to set action items and get status updates approximately 100 times a day. As to be expected with anything accountants work on, accountants lose the plot very easily. That is, accountants spend more time figuring out what is going on than actually getting things done. In this case, accountants who micromanage and ask for non-stop status updates have the lost the plot since nothing ever gets done. Correction, nothing ever gets done but the status is kept up to date. Status updates tend to carry over to accountants’ social lives. Have you ever noticed that your accountant friends update their facebook status incessantly? Don’t blame the accountants, as it’s just a Pavlovian response to the status box. If you were to look through an accountant’s e-mail, it would be full of requests for status updates and sent updates to different reporting levels. This is acceptable as accountants don’t need to get any real work done as long as they communicate to higher ups what still needs to be done. Too many frequent status updates are pointless and hinder efficiency. Instead of constantly micromanaging as accountants do, it would be more effective to have specific goals set out and let capable accountants below them work out the details. A little breathing room to get what needs to be done goes a long way. Note: don’t actually try and explain this to an accountant as it will utterly confuse them. Accountants are good at updating their status to reflect that other people should be blamed for delays. Throwing people under the bus is the way of life for accountants. When working with an accountant, you may ask them for a status update, but doing so every 20 minutes would be considered taking advantage of them even though they are used to this. Accountants collect ID badges like kids in the late ’90s collected pogs. An ID badge is typically a card with the accountant’s photo and name on it. This allows access to facilities and parking around the clock. 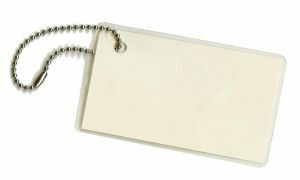 It’s common for senior accountants to have a deck of ID badges dangling off a retractable clip. Depending how accountants look at it, these badges can represent street credibility. Or these badges can represent the fact that they are on call 7 days a week to work at many locations. When the ID badges provide an accountant with street cred, ID badges are a form of accountant bling. They can hang around the neck or dangle from the belt like keys. One phenomenon with accountant ID badges is that the first badge tends to contain a cheerful portrait. This first photo akin to a naive teenager eager to pose for their yearbook. As years go by, the photos taken on badges tend to portray accountants that are sleep deprived, miserable, and fast-aging. Besides showing that an accountant is welcome at a company, ID badges also tend to confer perks. As mentioned, these perks include free parking, cafeteria access, and clearance for restricted areas. Accountants tend to be reluctant to give up ID badges they’ve received. These represent battles fought and won on past assignments. If you see an accountant with many ID badges, you should compliment them and act surprised that they have such an impressive collection. It’s especially endearing for an accountant when someone asks them about a well recognized company that they have access to. #45 Office Pranks, What are your favorites? A major pastime of accountants is office pranks. While this post can’t do justice to all the great pranks out there, it can serve as a basic primer. 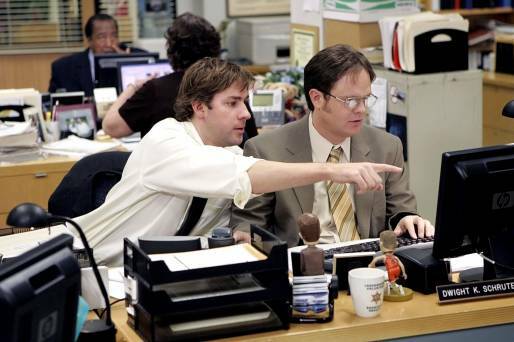 As seen on The Office, office pranks are a daily reality that make the work environment tolerable. It can be argued that more energy goes into planning pranks than getting workpapers done. Office pranks are especially fitting as everybody can make a great target. Accountants tend to be especially mean to new hires who are eager to help out and make a good first impression. You can tell an accountant has a good working relationship when they pull pranks on their own boss (and vice-versa). Accountants can turn everyday busy work into great pranks. Having someone foot a schedule that can’t be footed is a great one. This is an especially good prank when the work returns w/o/e and accountants discover they have a ghost ticker on their hands. The general rule is that the more people involved in a prank, the better the prank. This is due to the strong negative correlation between productivity and enjoyment (i.e. as less work is done, the better time everyone has). If you’re working with accountants for the first time, you need to be wary. Another tip, if the accountants you work with consistently pull great pranks, you know you’re working with top tier people. Post your favorite pranks in the comments. 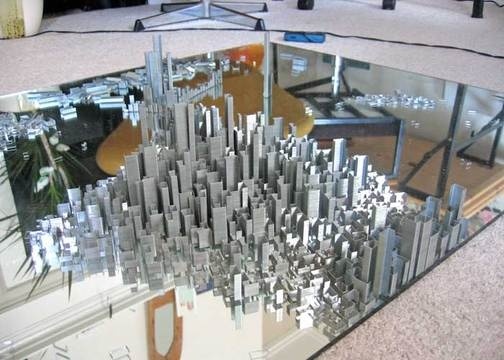 Artist Peter Root has created a detailed cityscape over a mirror using staples. Low-Rise is a precarious assemblage of thousands of free-standing stacks of staples densely tessellated to create a city-like mosaic. 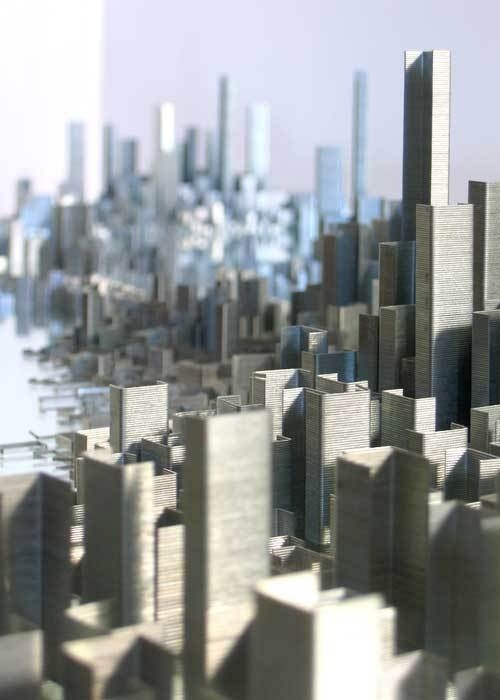 Like a city, the staples are subject to the elements, on a micro scale. The slightest breath or vibration and the domino effect kicks in. Accountants have a need to follow the rules. 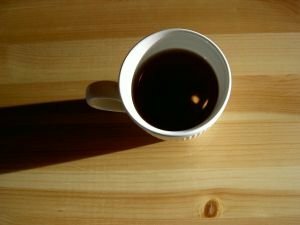 It creates order, and life is just simpler when everything goes the way it should. While work never goes the way it should, accountants can at least rely on the established pen color hierarchy. The pen color hierarchy varies company to company, even office to office. When followed at the office, it is important that this color code is never, ever broken. Having the pen color rule broken is akin to ghost ticking (tickmarking without having done the work). Accountants will adopt a number of pen colors such as red, green, blue, black, etc. to represent different levels of seniority. At a company, an accountant could start out with a green pen. They would never be allowed by their peers to use any pen whose ink is not green until they get promoted in title. By following this rule consistently, it makes the seniority clear for who worked on a given task. The pen color, not what is written, defines the accountant. Accountants (as sad as this sounds, it’s true) long for the day when they are allowed to use the next pen color. New accountants who use the wrong color are harshly scolded and then learn the color hierarchy fast. On the other hand, interns who use the wrong pen color are considered amusing since interns are held to a different standard. 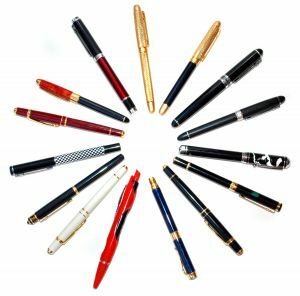 If you ever get an accountant a gift (and for some reason think a pen is an acceptable gift to give), you need to be aware of what color is the right pen color. Failure to pick the right color results in an awkward gift that an accountant may not be able to use for years. Even worse, the pen color may be considered beneath them. 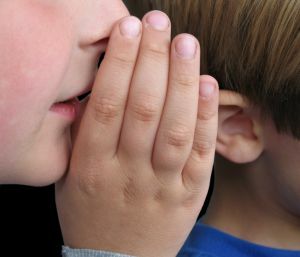 You might not expect it, but accountants are nonstop gossipers. This could be because it happens behind your back. Not just yourself, but everyone they work with and run into. The Starbucks barista? Check. The receptionist in the lobby? Check. The accountant’s manager? Check. When accountants get together and spread gossip, it’s usually not never about nice things. When you work with an accountant over an extended period of time, you will know everything there is to know about everyone else they work with. More accurately, you will know all the stupid things an accountant’s coworkers have done. You may not even want to know what food allergies or racist remarks were made the other day by people you don’t even know, but you get the pleasure of finding out. All this gossip becomes downright annoying. It’s perfectly natural to want an accountant to stop talking (or shut up) about other people during every conversation. Because of the office gossip and privileged information accountants are entitled to, accountants are powerful social networkers. They are usually the one to break the news that so and so is going out with that person. Or they pass along the latest inappropriate comment made by their boss. If you are working with an accountant, you have a number of paths. You can participate in the gossip train-wreck or you can try having a real conversation about something outside of work. Good luck about #2 though. Just remember that anything you tell an accountant is basically told to the entire office.